TIOBE (The Importance of Being Earnest), one of the most popular rating index for programming languages, has released its latest index for February 2018. According to their rankings, Java continues to remain the most popular programming language followed by C and C++. Other popular languages include Python, C#, and Visual Basic. In contradiction to TIOBE’s previous prediction that Visual Basic would vanish in a few years, it is performing well as compared to other languages. TIOBE has added SQL to the index, as the language is now Turing-complete, it said. On the other hand, PYPL (PopularitY of Programming Language), which looks at the popularity of language tutorials on Google, shows Java as the most preferred programming language followed by Python and PHP. For those unaware, TIOBE calculates the rankings based on the number of search engine queries, which contain the name of the programming language as a keyword. Alternatively, PYPL uses the raw data from Google Trends to calculate the rankings, which is based on the more number of searches for a particular language tutorial, the more popular it is assumed to be. While Python continued to maintain its popularity, other scripting languages such as Perl, PHP, and Ruby have seen a decrease in their popularity. The reason behind this is the difficulty in writing a critical and large software system, which meets high-quality demands. Based on research data as of February 2018, here is the list of the top 10 programming languages in 2018, according to the TIOBE Index and PYPL rankings. Java is one of the most popular, most adopted and general-purpose programming language used by millions of developers and billions of devices around the world. It is a class-based, object-oriented language and designed to be portable, which means that you can find it on all platforms, operating systems, and devices. It is used to develop all kinds of Android apps, desktop apps, and video games. It is also commonly used as a server-side language for enterprise-level backend development. This programming language has long-term compatibility and developers are comfortable with Java. C is the predecessor of C++ and is a simplified and less functional version. C is a compiled, procedural language developed in 1972 by Dennis Ritchie for use in the UNIX operating system. 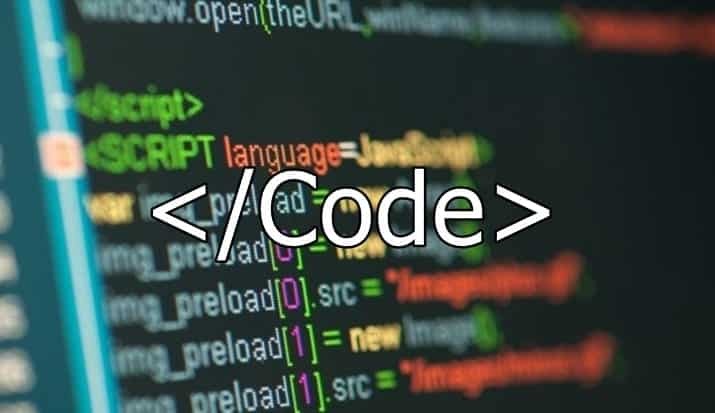 Although originally designed as a systems programming language, C has proved to be a powerful and flexible language that can be used for a variety of applications, from business programs to engineering. C++ is a general-purpose programming language based on C language. It has imperative, object-oriented and generic programming features. C++ is a powerful, high-performance language used to build system software, games engines and desktop and web apps. Python is a widely used high-level programming language used for general-purpose programming, as it is simple and readable. Python is the easiest coding language to learn for the first time learners. In order to become a seasoned professional, every beginner should at least know this language. PHP (Hypertext Pre-Processor) is a server-side programming language, which can be used to create web pages written in HTML. It is used on more than 80 percent of websites today including Facebook, Wikipedia, Tumblr, and WordPress. PHP is not only a popular language among new programmers due to its easy-to-use techniques; it also does offer tons of advanced features for more experienced programmers. C# is a simple, modern, general-purpose, type-safe, object-oriented programming language. It is intended for use in developing software components suitable for deployment in distributed environments. Objective-C is a general-purpose, object-oriented programming language used by the Apple operating system. It powers Apple’s OS X and iOS, as well as its APIs, and can be used to create iPhone apps, which has generated a huge demand for this once-outmoded programming language. Visual Basic .NET (VB.NET) is a multi-paradigm, object-oriented programming language, implemented on the .NET Framework. MATLAB is a programming language developed by MathWorks. It is among the top software environments for scientists and engineers. It started out as a matrix programming language where linear algebra programming was simple. It can be run both under interactive sessions and as a batch job. Alternatives to MATLAB exist including open source software packages. Unlike the other programming languages, MATLAB includes a complete computing environment as well. Delphi is a programming language and software development kit (SDK) for desktop, mobile, web, and console applications. Delphi is the successor of Turbo Pascal – the software development system used with the Pascal programming language. It added full object-orientation to the existing language, and since then the language has grown and supports many other modern language features, including generics and anonymous methods, as well as unusual features such as inbuilt string types and native COM support. Swift, the successor of Objective-C is a relatively clean, fast and error-free programming language that can reduce the length of the code, saving time and energy. Built by Apple, Swift is suitable for building applications for iOS, macOS, watchOS and tvOS. Since, it is open source, besides iOS developers can also use it on Windows or Linux systems, design their compilers and be assured that their apps are compatible with Apple devices. R is an open source programming language and software environment for statistical computing and graphics. It is widely used among statisticians and data miners for developing statistical software and data analysis. It is capable of conducting numerical computations through additional packages. Ruby is a dynamic, reflective, object-oriented, and general-purpose programming language, which supports multiple programming paradigms including functional, object-oriented, and imperative. Utterly composed subject material, thankyou for information .